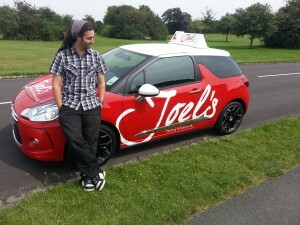 Since 2008 I have been teaching throughout Bristol as a fully qualified approved driving instructor (ADI). My pass rate is 77% (honest, I’ve got the graphs and pie charts to prove it! ), whilst the national average for the practical driving test is just 47%, so you can be assured I know what I’m doing! I believe my pupils enjoy the learning process and hopefully don’t dread their lessons, because we take things step by step and because I’m very patient and really don’t mind if you are nervous. Feeling slightly anxious is a perfectly natural reaction to learning to drive, but I guarantee I can build up your driving skills to make you a positive and confident driver. The ability to drive properly and safely is one of the most important life skills you will ever learn, and I believe I’m the best man to guide you through the process, including helping you with the theory test. You’ll be driving a brand new 2018 Volkswagen Polo, and frankly it’s the best car I’ve ever driven! It looks great and is a fantastic car to learn in. You also have the added confidence and peace of mind that I did all my training with The AA, and was an instructor with them for 4 years. The biggest in the business, but not the best, that’s where Joel’s Driving School comes in! I set up my own driving school in August 2012, and my pass rates have risen even further! If you’re not convinced yet, check out my Facebook and see what my past pupils have said about their learning experience with me. I cover most postcodes in Bristol and know my way around the whole city so contact me via Facebook, or give me a call on 0777 321 1232 and we can organise your first lesson!